The exhibition is in two parts. 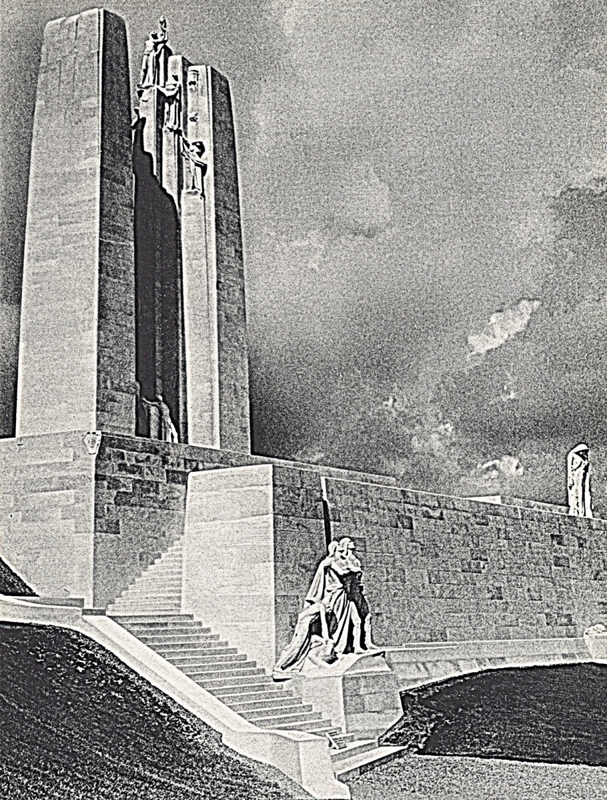 The first part is devoted to the Battle of Vimy Ridge and to the memorial dedicated by King Edward the 8th in 1936 at Vimy. The second part of the exhibition is devoted to remembrance; to the memorials and to the memorialization of the bravery and sacrifices of Canada’s men and women during the First World War. Part I opens on the 7th of April and continues through November; part II, will open on the 19th of May and continue to September 22nd. Related event - A special Vimy Ridge lecture was given by historian Dr. Tim Cook, C.M. The talk entitled "Birth of a Notion: The Vimy Idea, 1917-2017" was held on Tuesday, April 25 at 5:30pm in Moyse Hall (Arts Building). For more information, click here.